In ancient times jewelry was not simply a piece of pretty metal and shiny stones, it often bore a much deeper significance. Sometimes it was an amulet, meant to protect its wearer, other times it signified status or was a religious symbol. Today most people wear jewelry to match and accessorize their outfit, but wouldn't it be wonderful to wear something that actually has meaning? Runen Orakel Thors Hammer offers a beautiful selection of jewelry with mythological and religious symbolism, including Asian and Nordic designs. They have everything from rings to pendants to bracelets, in a variety of colors and materials. 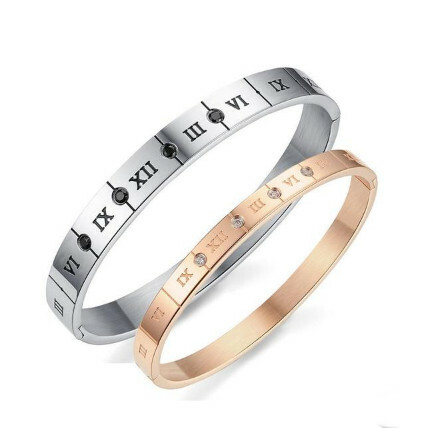 The Roman numeral bracelets above are a modern way to wear a piece of history on your wrist and will go really well with most of your everyday looks. The first 15 readers who use the code "15FORITALY" at checkout will get 15% off their order!